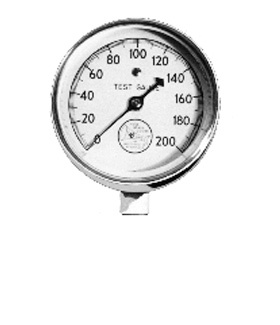 Test gauges are furnished in the 3 1/2" size designed to provide a rugged, portable, precision instrument. The instruments are particularly suited for inspectors in the field. Also used in piezometers for flow rest readings. Available in 0-100 lbs, 0-200 lbs and 0-300 lbs.